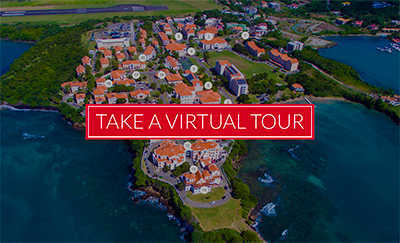 With an excellent education under their wings, sound advice to lean on and the world before them, greatness is within reach for the St. George’s University Class of 2017. 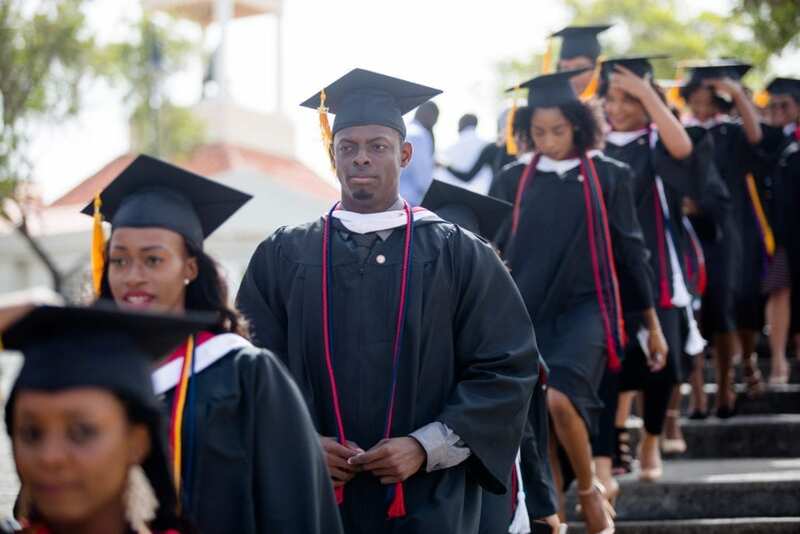 Joining him in the family of SGU alumni were graduates representing 33 countries across the globe. The 2017 class included nearly 150 students from the School of Arts and Sciences and more than 120 from the School of Graduate Studies. 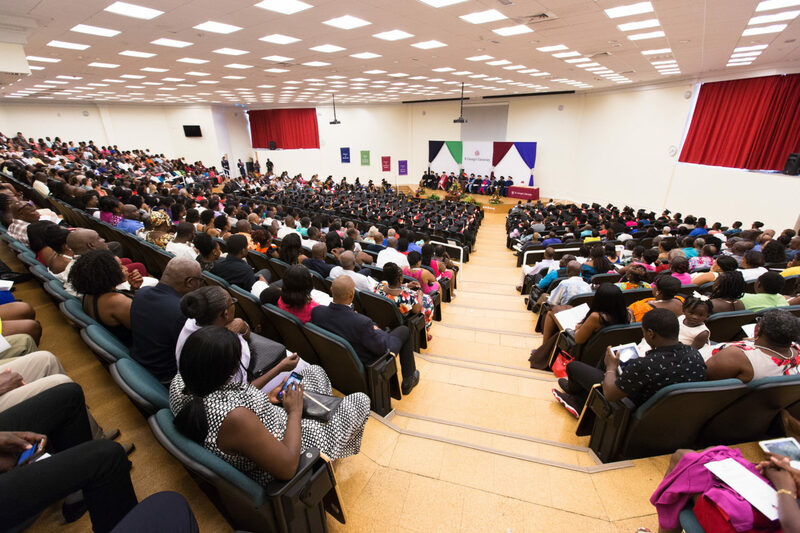 In addition, medical doctorates were conferred on 65 Caribbean graduates, with one new Grenadian veterinarian in attendance. Ceremonies for the Schools of Medicine and Veterinary Medicine will take place in June at New York City’s Lincoln Center. 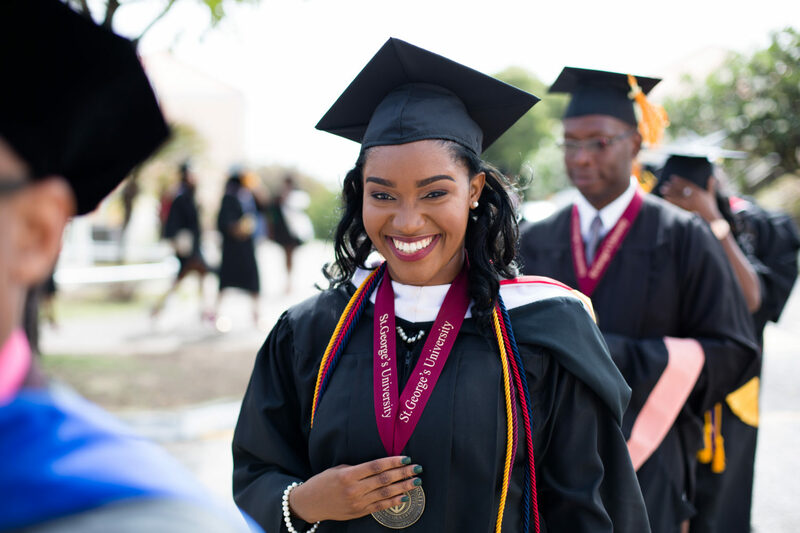 In her address to the crowd, valedictorian Blossom Philbert, BSc ’17, also quoted Collins, saying “greatness is not a function of circumstance. Greatness, it turns out, is a matter of conscious choice.” She went on to compare life to that of a book, but unlike the chapters of their textbooks, they could not flip forward to see how many more pages were left. Among the degrees conferred by the School of Graduate Studies, Dr. Trevor Noel became the fifth student — and first Grenadian—to earn his Doctor of Philosophy at SGU. Dr. Noel was simultaneously inducted into the Gamma Kappa Chapter of the Delta Omega Public Health Honor Society for his extraordinary service to public health and invaluable contributions to the Windward Islands Research and Education Foundation (WINDREF). St. George’s University also recognized Dr. Rudi Webster with its Distinguished Service Award for his work spanning the fields of medicine, sports, diplomacy, and politics. 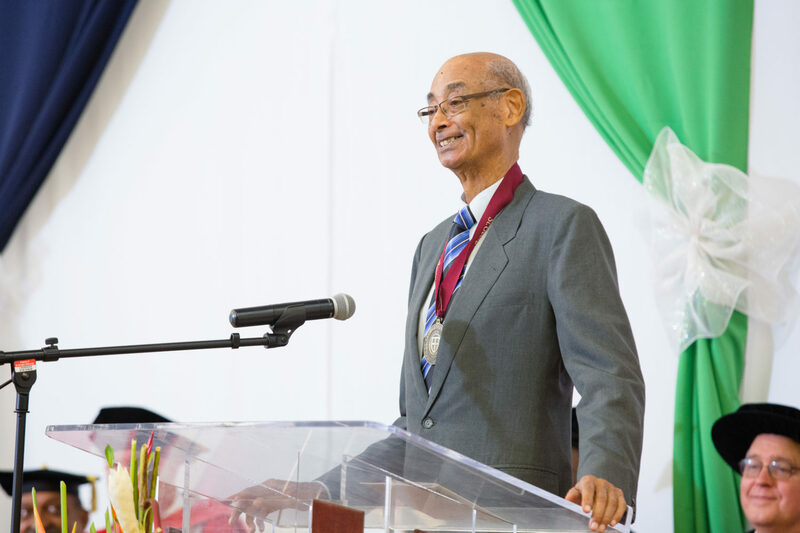 Dr. Webster was instrumental in establishing the Shell Cricket Academy at SGU, where he served as Academy Director – an endeavor which signified that SGU was not just a medical school but much more. Several of SGU’s Shell Academy graduates went on to play for the West Indies cricket team, including Darren Sammy, who captained the team to two consecutive T20 World Cups.